Today is Wednesday, March 8, the 67th day of 2017 in the Gregorian calendar, with 298 days remaining. 1,414 days until the end of Donald Trump's term as President, assuming he isn't impeached. 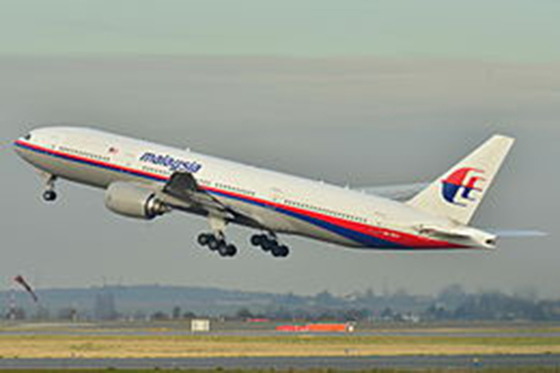 On this date in 2014, Malaysia Airlines Flight 370, a Boeing 777-200ER carrying a total of 239 people, disappeared en route from Kuala Lumpur to Beijing. Passenger Mei Ling Chng owned a home a block away from me here in South Park Township, PA. In addition to the mystery of the flight's disappearance, this website- a Sandy Hook denying, anti-Semitic, wingnut conspiracy theory pile of excreta, nodisinfo.com- claims Chng doesn't really exist and that and that it's a Zionist plot, the purpose of which they don't bother to explain. I never met Ms. Chng, but I know my good neighbors over on Leona Avenue who were interviewed by the Trib, and I'm kind of doubtful they're Zionist pawns. Today is also International Women's Day, originally called International Working Women's Day, and commemorates the struggle for women's rights. Naked Florida woman found under stranger's bed, running around town. Charlotte Whitton (1896-1975), Canadian feminist and mayor of Ottawa. "God always has another custard pie up his sleeve." "The real problem isn't East Coast elites who don't understand or care about rural America. The real problem is that rural Americans don't understand the causes of their own situations and fears and they have shown no interest in finding out. They don't want to know why they feel the way they do or why they are struggling because they don't want to admit it is in large part because of the choices they've made and the horrible things they've allowed themselves to believe." An Insider's View: The Dark Rigidity of Fundamentalist Rural America. The GOP's "American Health Care Act" is really a $600 billion tax cut for rich Americans. And for some reason, of the 60 pages in the bill, six are dedicated to denying Medicare to lottery winners. Hitler was 'blitzed' on cocaine and opiates during the war. And the reason German troops were so gung-ho was because they were given what we now call crystal meth. Remember the Underground Railroad? it's back. At a safe house in Buffalo, asylum seekers from around the world prepare to flee the U.S. for Canada. Believe it or not, you can hear the difference between hot and cold water. And it's an intuitive ability.